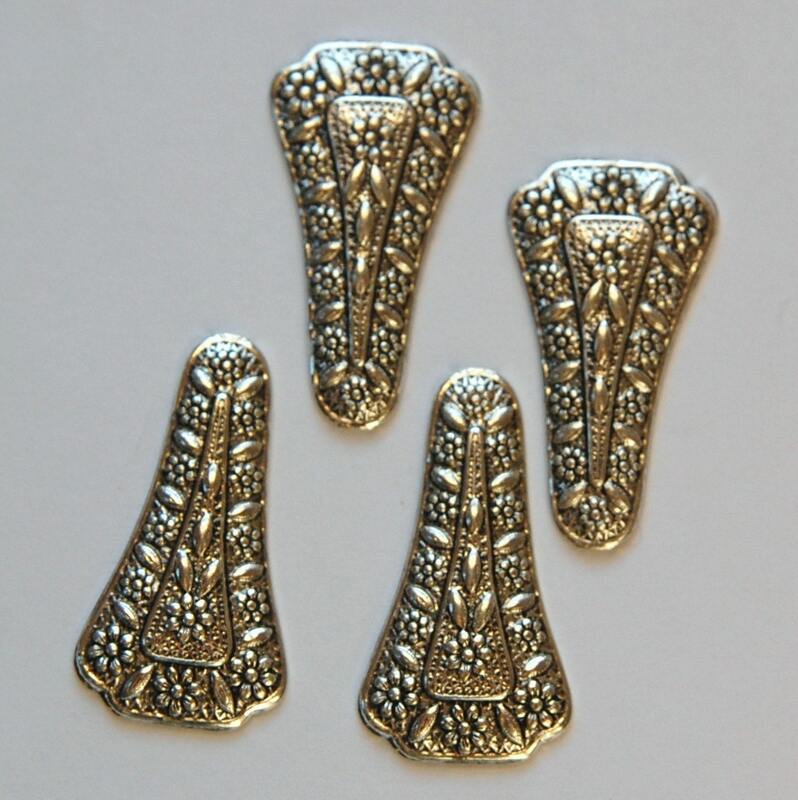 These are antiqued silver plated stampings. They have a raised floral design on the front and a concave back. These measure 29mm long X 15mm wide. You will receive 4 pieces. Just as pictured. Thank you! Very fancy, dainty and Victorian vintage.